Well I have completed two weeks radiation and have three to go. 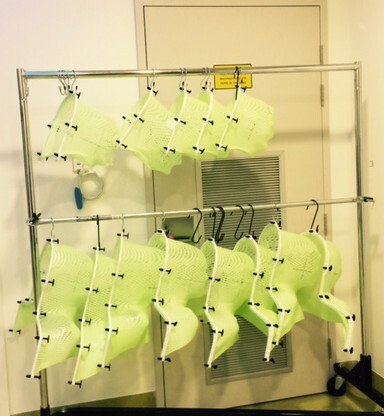 I thought I would show you these masks that are for patients who have radiation up near there head area. My friend had a Basal cell carcinoma on hear ear and had to have radiation. They make a mask especially for you and it is bolted onto the table to keep you still while you have treatment. I am only glad I don’t have to have that, cause even though they have holes all over and you can see out, I am sure I would feel claustrophobic. Our neighbour at our previous house, had throat cancer and had a mask for radiation, when we went to his fiftieth birthday party, they had made his mask into a garden light. When I came out of my session of Radiation, which only takes ten minutes, most of this time is taken up by them adjusting and moving you to align your measurements up with what is on the computer. I am lying there with my arms above my head and can see fluorescent numbers and lines on my chest, with nurses calling measurements to each other. It must be like being on a submarine and I expect one of them to shout, ‘Fire number one torpedo’ any second. On Friday I came out of the Radiation room and headed for the cubicle to get changed the lady waiting to go next turned out to be Julie a fellow Breast Cancer Patient from Secret Harbour who I have chatted to through my blog. It was lovely to put a face to a name and we had a quick chat before she had to dash off to be zapped. Every few weeks I give my wig a wash. 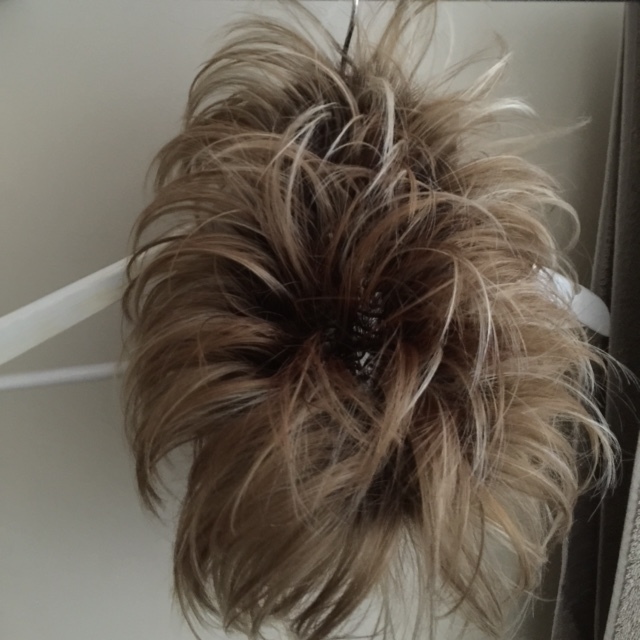 It is really simple, you just use a small amount of special synthetic wig shampoo in cold water, being very gentle as if you were washing lingerie, then rinse thoroughly and spray with the leave in conditioner. I heard you could use baby shampoo and fabric softener, but, that didn’t work as well. The good stuff brings it up beautifully and after a couple of washes it isn’t all shiny any more and looks much more natural. Anyway, hold it upside down while it is wet and give it a couple of flicks, then hang it upside down once again on a hanger by the thin wire hook, and let it dry overnight. In the morning you have a nice clean wig. I had a small wedding on the beach this morning for Stevhnie and Martin who came down from Christmas Island. Their guests were family who flew in from South Africa, and of course Perth put on a beautiful sunny day for them. It was just perfect.